Cover (back flap missing) fr. with 22x1l. 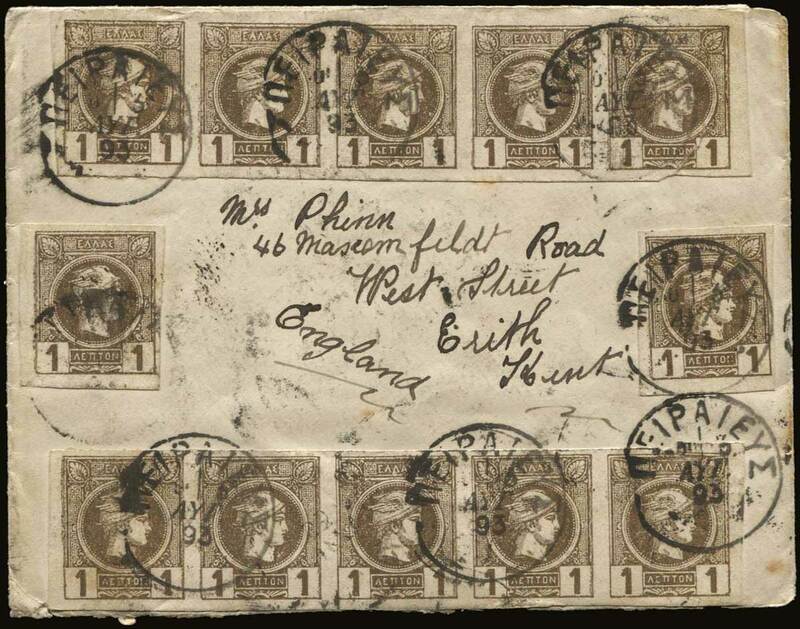 brown-grey (bl.10 + 2 strips of 5 + 2 singles) and posted from "ΠΕΙΡΑΙΕΥΣ*5 ΑΥΓ. 93", arr. "ERITH* AU 22 93". (Hellas 85a).